Even though the decision was widely expected, there's no denying the news is still a pretty big deal. Today, the Department of Health and Human Services adopted in full the women's health recommendations issued two weeks ago by the independent Institute of Medicine. "Since birth control is the most common drug prescribed to women ages 18-44, insurance plans should cover it," said HHS Secretary Kathleen Sebelius in a press briefing. "Not doing it would be like not covering flu shots, or any of the other basic preventive services that millions of other Americans count on every day." The upshot: Starting a year from now, most new health insurance policies, and eventually almost every policy, will have to offer a comprehensive list of women's preventive health services with no copay or deductible, including all forms of prescription contraception approved by the Food and Drug Administration. 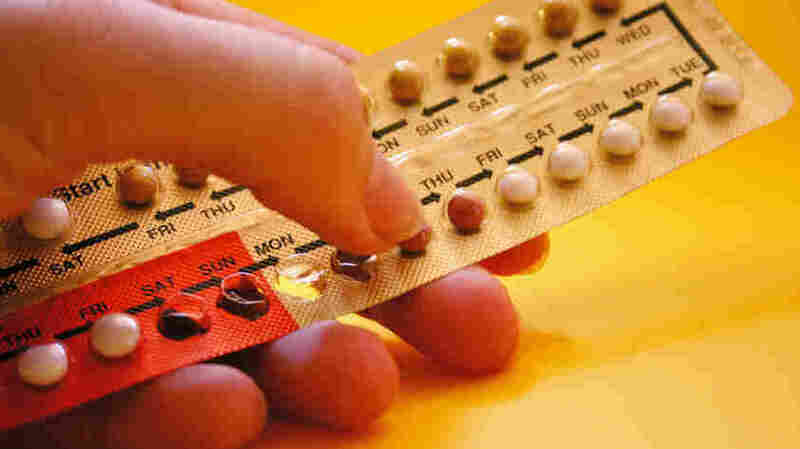 The new rules, however, do take into account the complaints from some conservative and religious groups, by allowing religious organizations that provide health insurance to refrain from offering contraceptive coverage "if that is inconsistent with their tenets." HHS says that part of its proposal is modeled on the most common exemption used by the 28 states that already require contraceptive coverage to be offered in health insurance policies. The department, however, is specifically asking the public to comment on that portion of the rules, "as we work to strike the balance between providing access to proven prevention and respecting religious beliefs." Already the reactions are pouring in. Some people object to the religious exemption. "The IOM recommendations were based on rigorous scientific research and evidence — but this exemption means that not all women will benefit from these evidence-based recommendations," said Rep. Lois Capps (D-CA), one of the lawmakers who pushed for the inclusion of more women's health services in the health law. "Science should apply to all women, regardless of where she works." HHS offered a fig leaf of conscience protection for certain churches that fulfill very specific criteria. However, religious groups that provide social services, engage in missions work to people of different religious faiths, religious health insurance companies, let alone religious health care providers and individuals in such health plans are not protected from any discrimination whatever. The new rule will force many Americans to violate their consciences or refrain from participating in health care insurance, further burdening an already costly system. A clear majority of Americans support the coverage of birth control pills by private insurers, even when government funds are used to defray the expense, a poll by NPR and Thomson Reuters found earlier this year. About three-quarters of Americans believe private insurance, including employer-based policies, should cover all or some of the cost of oral contraceptives. Support was just about the same when people were asked if government assistance was used to make the purchase of insurance more affordable.